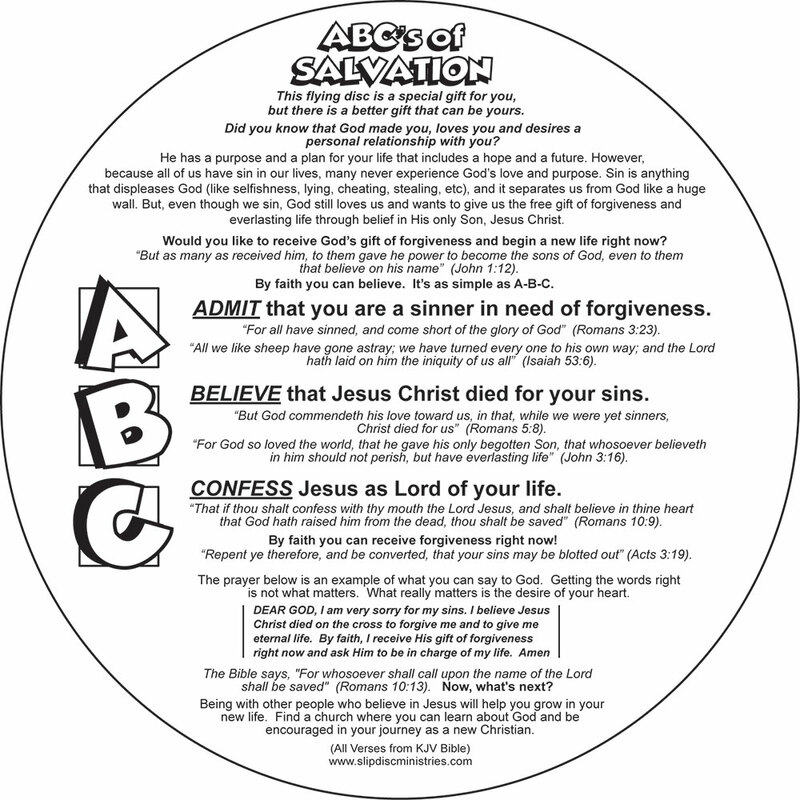 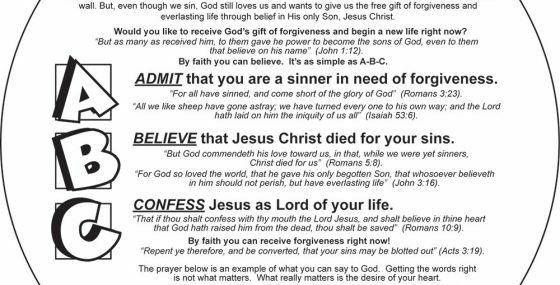 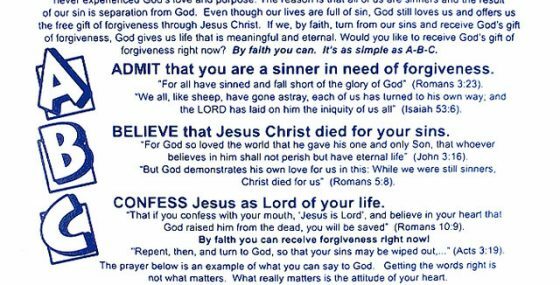 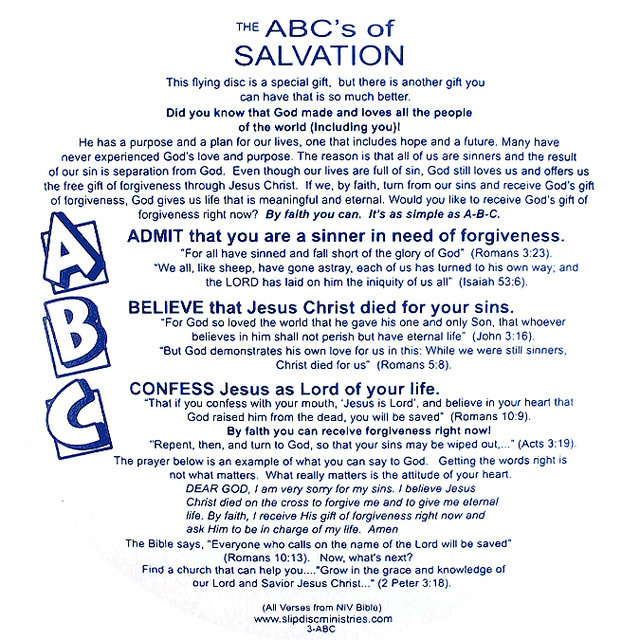 The “ABC's of Salvation” Message uses the “Admit, Believe, Confess” outline as a simple guide to accepting Jesus as your Savior. 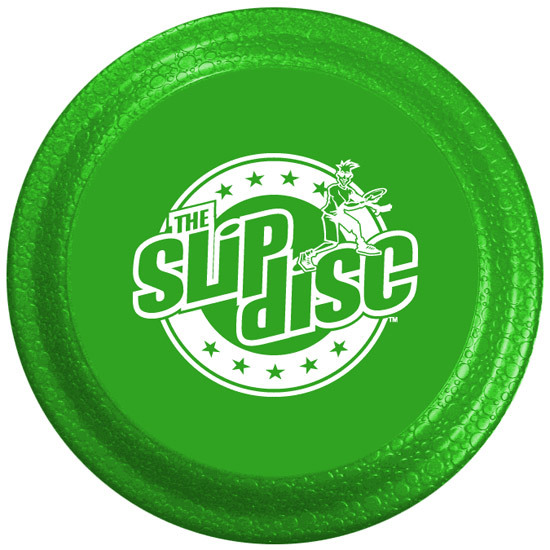 All orders will come with a mixture of colors unless specified in comments below. Quantity discounts are based on the total number of Slip Discs ordered. 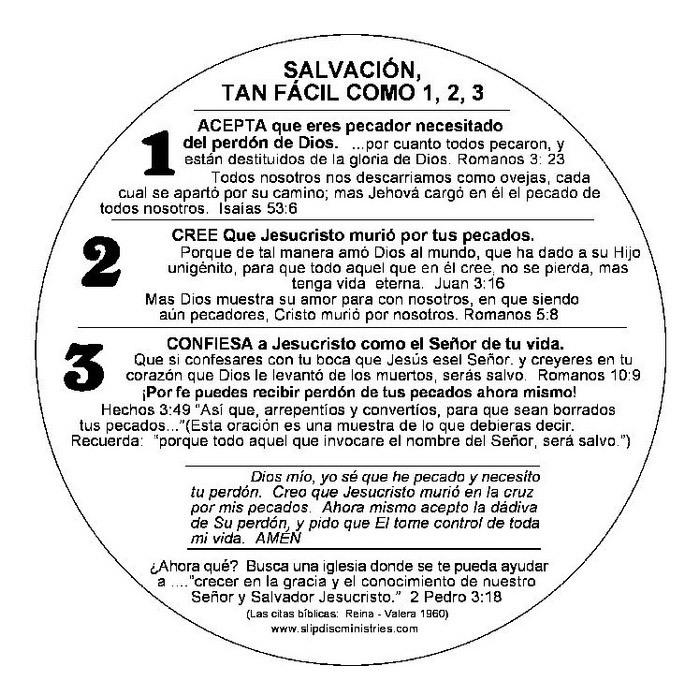 In Spanish, we use the 1-2-3 model, instead of ABC’s. 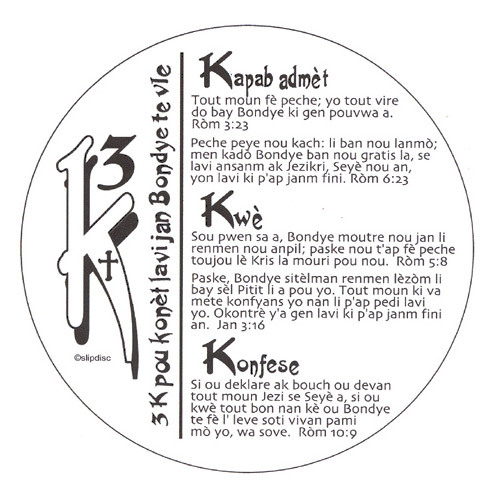 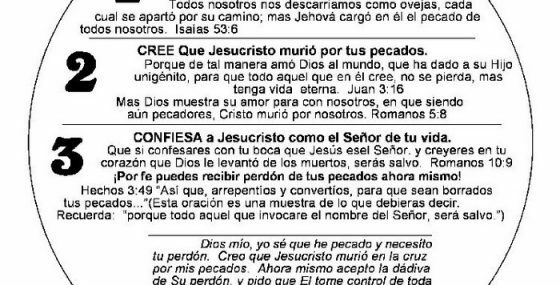 In Haitian Creole, we use the 3K’s Roman Road model and with the KJV we use King James Version Bible References. 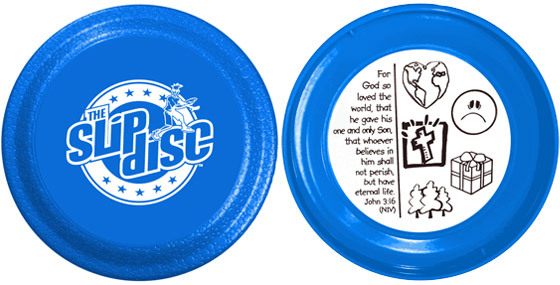 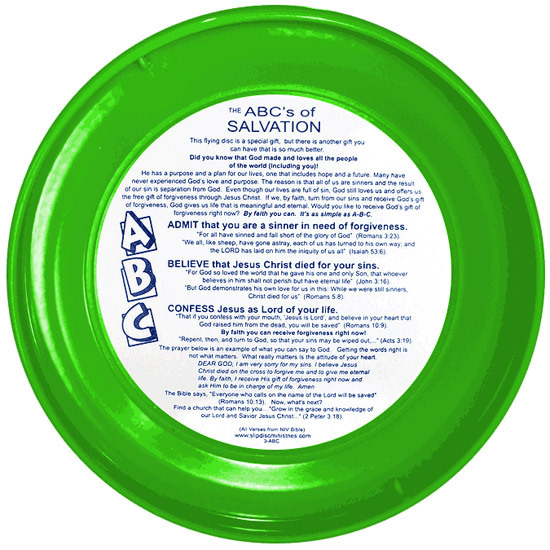 With the cool logo on the top & the Good News of God’s love on the underside decal, this high quality flying disc makes it easier to share your faith at parks, beaches, mission trips, block parties, fall festivals, trunk or treat and more. 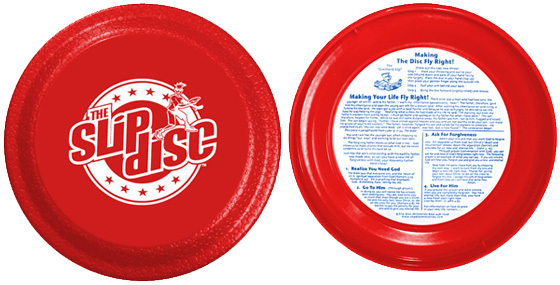 All discs come standard with the SLIP DISC logo on the front, but they can be customized with your own logo art. 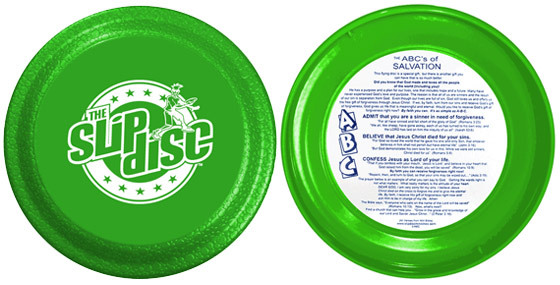 Order are fulfilled with a mix-and-match of all available disc colors, unless otherwise specified in the order comments. 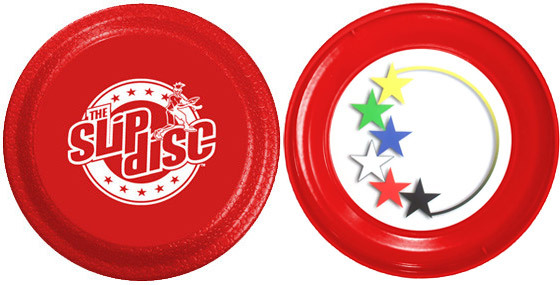 We will do our best to honor color preferences whenever possible.